Comments: Swedish ivy makes an excellent indoor plant provided some natural light is present during the day. It produces rounded, scalloped, glossy leaves on long runners. 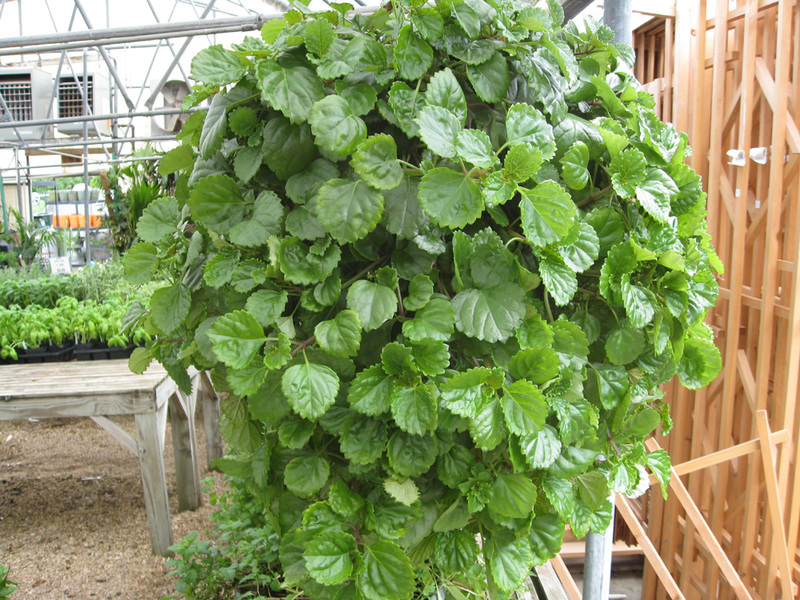 In addition to growing as a trained vine on a totem pole, the Swedish ivy makes an excellent hanging basket specimen. Provide a well drained soil. Fertilize house plants every month during the period of active growth. Pests can include mealy bugs, aphids, plant lice, and leaf spots.